It isn’t that there is a shortage of housing in Northwest Oregon’s Clatsop County; it is that a lot of the housing is out of reach to year-round residents. Preliminary results from a housing study conducted by Portland consulting firm Johnson Economics confirms what many residents could already feel: People are being priced out of both rentals and homes for sale, and second-homes and short-term rentals are tying up housing and driving up prices. A 27 percent vacancy rate in the county is attributed largely to second homes. The population of Clatsop County, as of the last census data, is 37,660. 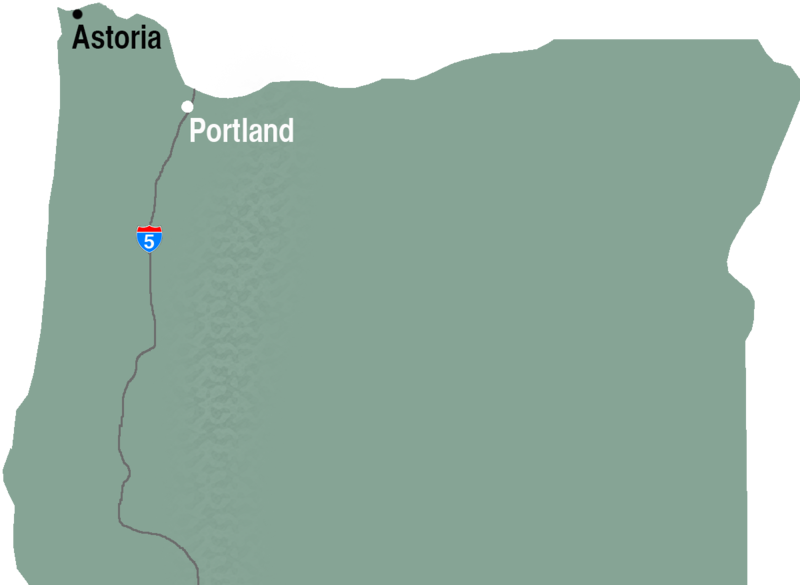 The county is made up of five towns: Astoria, Warrenton, Gearhart, Seaside and Cannon Beach. Each jurisdiction contributed $10,000 for the housing study, and $50,000 came from the county. Each town has recognized a housing crisis and the need to study, strategize and implement new policies to make more housing available. Technically, there could be considered an oversupply of housing in Clatsop County based on a simple comparison of numbers from the study: 1.4 housing units per each permanent resident. This number is misleading because it counts second homes that sit vacant much of the year. Like Tillamook and Lincoln counties, Clatsop County is struggling to manage the gap between an increasing reliance on tourism dollars in a seasonal service industry and affordable places for residents to live. The study found that 74 percent of people in Clatsop County cannot afford average rents or median home prices, which are $310,500 for the county. The county also has a higher number of renters than the state average, which is attributed to would-be buyers who are unable to find homes at price points they can afford. In this way, it isn’t only service-sector and seasonal employees who are struggling; even people in traditionally stable jobs in industries that offer a living wage are feeling the burden of high rents and the distant dream of home ownership. On paper, Niko Anderson should not be living out of his car. A first-responder by trade, he moved to the North Coast to complete his paramedic school internship and work for Medix Ambulance Company. Already working full time for Medix’s parent company, Metro West, he was able to make an internal transfer to allow for a seamless, full-time work transition. Medix employs 76 people across a range of pay scales, from paramedics to EMT basics to medi-van drivers, dispatchers and business personnel. All employees make above minimum wage, and most employees hold trained, degreed positions that increase pay grade. First-year paramedic wages are $19 an hour upward, with pay bumps annually, and because he was technically employed by the same company in Tigard, Niko was able to start working as a paramedic at a second-year salary. While he was interning, the company offered him a trailer to share with another intern. This was nothing formal, but rather an ad hoc scenario to help him make something work. The trailer was on loan from the friend of one of the supervisors. After his interning period, Niko moved into his truck. Niko is unmarried and has no dependents. He knows he could afford to pay rent, but with student loans and a car payment, he said it felt like it had to be one or the other. The additional requirements of first and last months’ rent and a security deposit, coupled with the scarcity of rental openings in the county, just felt like too high a burden for his situation. “Paying $1,000 a month or more for a studio apartment was not worth it to me,” he said. It isn’t typical for Medix employees to live in their vehicles, but Medix Supervisor Tim Lewis said the struggle to find housing is a big issue for new employees coming from out of county. When the company used to run 24-hour shifts, it kept “quarters” for on-shift employees, a place with a bed and a small kitchen for use in between calls. These facilities at times doubled as a place to crash while new employees looked for housing. When call volumes rose as the county grew, the company switched to 12-hour shifts and did away with quarters; simultaneously, housing got more difficult to find. Lewis said Medix will always do what it can to help employees come up with creative housing strategies. The company has put people up in hotels on a short-term basis, but most solutions are patched together by individual employees, a loaned trailer or another temporary crash site. A plan is in the works for a rebuilt headquarters that will include options for temporary, short-term housing for employees, but short-term solutions can’t address the larger housing crisis. Niko acknowledges he is making a choice by living in his car, but for him, it is the choice between the opportunity to get truly stable or living hand-to-mouth. This winter, his plans for saving money were put on hold when a health incident hospitalized him twice. He incurred large out-of-pocket fees and now an even larger mountain of debt to manage. Had he been paying rent, the hit would have been even harder. “Affordable housing” is what is manageable for people making 60 percent of the median income, consuming no more than 30 percent of a household’s income, according to federal standards. In Clatsop County, that is between $600 to $800 a month, and these rents are increasingly rare outside of subsidized housing. Kirk prices her units based on what is affordable on two minimum-wage incomes. For a one-bedroom, that is about $850, which is under market value for Astoria. Mainly, she rents to service industry workers or people in the medical field; most of her tenants do not have families, and most are under 35. Even now, Kirk implements a yearly 3% to 5% increase on all rentals. From her perspective, this is fairer and softens the blow to renters, rather than arriving at unmanageable hikes when property tax and insurance increases make a rise in rent inevitable. She knows she could charge higher rent, but just feels she can’t do it. It is partly her ideals for supporting the working class, and she acknowledges that as an investor with many properties, she can afford to keep rents lower, although she might not forever.